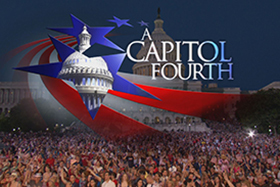 A new and unexpected tradition in connection with the A Capitol Fourth concert began in 1991, when Tony Bennett was the headline performer. 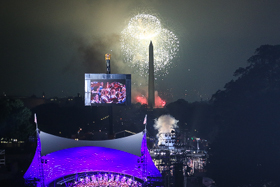 Aware of Bennett’s passion for art, then Executive Producer Jerry Colbert invited the popular singer to paint a Fourth of July image to celebrate our nation’s birthday. 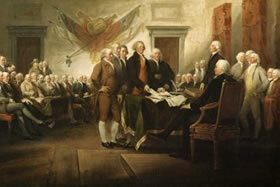 Bennett was pleased to do so, and his painting became the first commemorative poster. 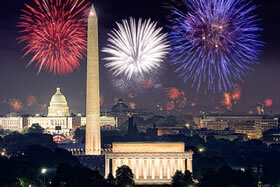 In subsequent years, a variety of artists have contributed patriotic paintings and photographs featuring iconic images of our nation's capital city for the annual A Capitol Fourth official poster. 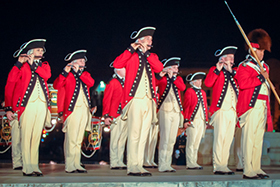 We are pleased to continue this tradition in 2018. 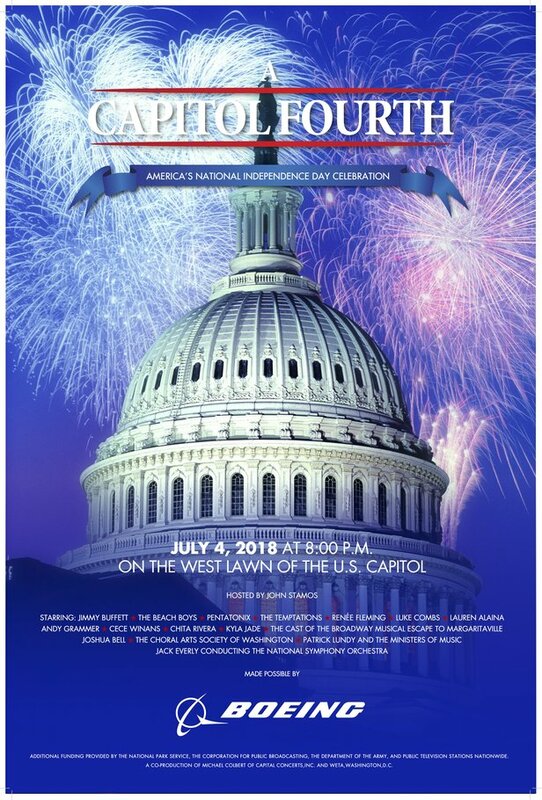 The official concert poster symbolizes the magnificent experience of celebrating the Fourth of July at the U.S. Capitol with unrivaled musical performances by a star-studded cast and the internationally acclaimed National Symphony Orchestra under the direction of Jack Everly. 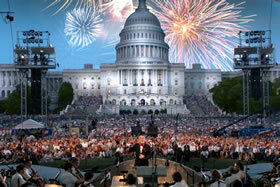 The Boeing Company is the proud sponsor of the 2018 official concert poster and of the live broadcast of A Capitol Fourth on PBS.